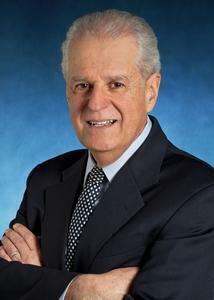 Dr. Muñoz received his MS (1977) and PhD (1980) degrees in statistics from Stanford University. From 1980-1985, he was an instructor at the Channing Laboratory at Harvard Medical School. In 1986 Dr. Muñoz was appointed to the post of assistant professor in the Department of Epidemiology, with a joint appointment in the Department of Biostatistics at the Johns Hopkins School of Public Health. He was promoted to associate professor in 1987 and to full professor in 1993. He was awarded an additional joint appointment in the Department of Environmental Health Sciences in 1994. Dr. Muñoz was intimately involved in large cohort studies of the epidemiology of HIV/AIDS and since 2003, in a nation-wide cohort study of children with chronic renal insufficiency. His research interest is in statistical methods in epidemiology, particularly survival and longitudinal data analysis. Dr. Muñoz continues to provide leadership in the design of new studies, data analysis, and methodological research in collaboration with faculty and staff of the Department of Epidemiology. Experience and methods derived from research initiatives are part of a course taught by Dr. Muñoz and collaborators: Advanced Methods for the Design and Analysis of Cohort Studies. Since 2003, Dr. Muñoz has been principal investigator of the data coordinating center for the Chronic Kindney Disease in Children Cohort Study (CKID). The study pioneered the implemenntation of direct measures of Glomerular Filtration Rate in large epidemiological studies. As of 2018, Dr. Muñoz and Dr. Ng became the muli-PIs fo the data coordinating center of CKiD. Dr. Muñoz and collaborators have implemented methods for the analysis of competing risks and parametric survival analysis using the CKiD data as well as proposing coefficients of determination in the context of longitudinal data. Since 1994, Dr. Muñoz has collaborted with faculty in the Department of Environmental Health Sciences. As part of this collaboration, Dr. Muñoz and collaborators have coordinated several clinical trials and case-control studies conducted in China on putative chemopreventive agents against liver cancer and the effects of air pollution. Since 2006, Dr. Muñoz has directed the data analytical team of a cohort study on the epidemiology of pelvic floor disorders in collaboration with faculty of the OB/GYN division at the Bayview Medical Center. Selected publications in different areas of my research interests. Cox C, Chu H, Schneider MF, Muñoz A. Parametric survival analysis and taxonomy of hazard functions for the generalized gamma distribution. Stat Med 2007;26:4352-74. Checkley W, Brower RG, Muñoz A. Inference for mutually exclusive competing events through a mixtureof generalized gamma distributions. Epidemiology 2010;21:557-65. PMCID: PMC3227544. Ng DK, Schwartz GJ, Jacobson L P, Palella FJ, Margolick, J B, Warady BA, Furth SL, Muñoz A. Universal GFR determination based on two time points during plasma iohexol disappearance. Kidney Int 2011;80:423-30. PMCID: PMC3146568. Muñoz A, Abraham AG, Matheson M, Wada N. Non-proportionality of hazards in the competing risks framework. In: Risk Assessment and Evaluation of Predictions. Lee MLT, Gail M, Pfeiffer R, Satten G, Cai T, Gandy A (Eds). Springer Verlag, 2013. Ng DK, Portale AA, Furth SL, Warady BA, Muñoz A. Time-varying coefficient of determination to quantify the explanatory power of biomarkers on longitudinal GFR among children with chronic kidney disease. Ann Epidemiol 2018.